If a poll were to be held right now to choose the best UEFA Champions League goals, for sure the top 5 would’ve been the ones scored on this matchday. Mesut Ozil scored an absolute beauty to finish the comeback. The last UEFA Champions League matchday left us some of the best goals we will see in this tournament. We had them in every color, with the right, with the left, volleys, individual play and more. Here are the top 5 goals scored on the last UEFA Champions League matchday. The Swiss midfielder scored a beauty from outside the box, to give his team momentary parity against the French champions. It’s true that Areola is to be blamed for the goal, but it was the witty attitude from the midfielder to attempt a shot from that far our. This great goal is our number 5 in the best UEFA Champions League goals scores on this matchday. If there is one player who is loyal and capable of leading a team into the next round, it’s Marek Hamsik of Napoli. On Tuesday, he took charge of the match after being behind against Besiktas. He grabbed the ball outside the box and without hesitation, with his left foot, shot and placed the ball far out of the keeper’s reach. Stunner. It’s not the first and I’m sure it won’t be the last great goal the Slovakian scores. Our number 4 in the best UEFA Champions League goals goes to the Napoli midfielder. 3. Gareth Bale (vs Legia Varsovia)55 seconds was all it took for Gareth Bale to score our third best UEFA Champions League goal of this week. Real Madrid played Legia in a closed stadium, where you could hear every single player scream. Less than a minute into the match and we were all jumping amazed after a volley by the Welsh player. The number 11 didn’t think about it much, because when he saw the cross he instantly knew the ball would finish in his position. One single strike and placed it in the top corner. Magnifique. 2. Thomas Meunier (vs Basel)A gamble is what Meunier is for Unai Emery. He tested him out during preseason and right now he is the best right back he has. Yesterday he scored our second entry in the list of the best UEFA Champions League goals. The match was tied, and in the last few minutes a cross by Rabiot came straight to Meunier’s feet and without letting the ball touch the floor, he shot and saw how the ball flew into the top corner, away from the keeper’s hands. He can try and do it 100 times, but never again will it be as beautiful as this one. 1. 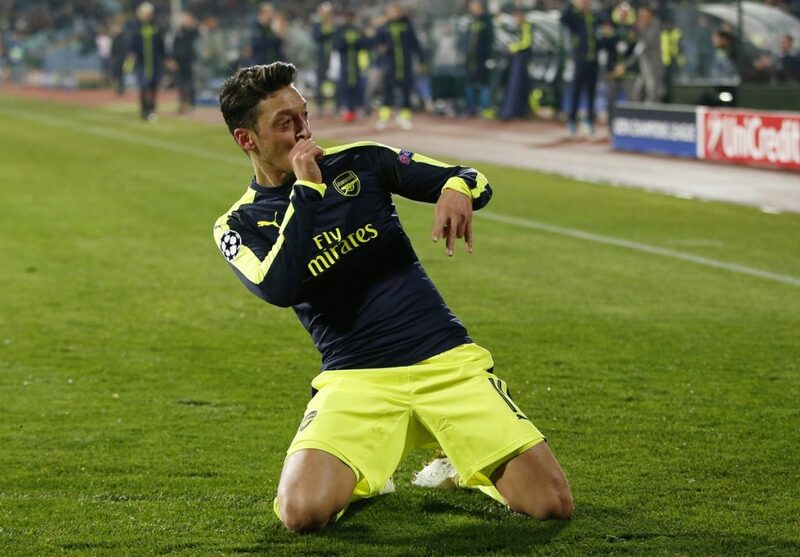 Mesut Ozil (vs Ludogorets)The German midfielder may have scored one of the best goals of the whole year. An absolute beauty that’s going to be difficult to put into words. Teaching us a lesson on how to receive a ball with just the keeper to beat, he chipped the ball over him and when two defenders arrived, just broke and dribbled past them to score without any opposition. This is definitely our number 1 in best UEFA Champions League goals for the past match day. How was it? Is there any other goal you would’ve chosen instead of the ones I just talked about? I think we can all agree these are magnificent goals from players who train every day to score them. Now, if you want to see some goals scored by amateur football players then click here and enjoy.